Cigars can be stored in various ways but you want to be able to light your cigar at the right moment and enjoy the experience to the full. 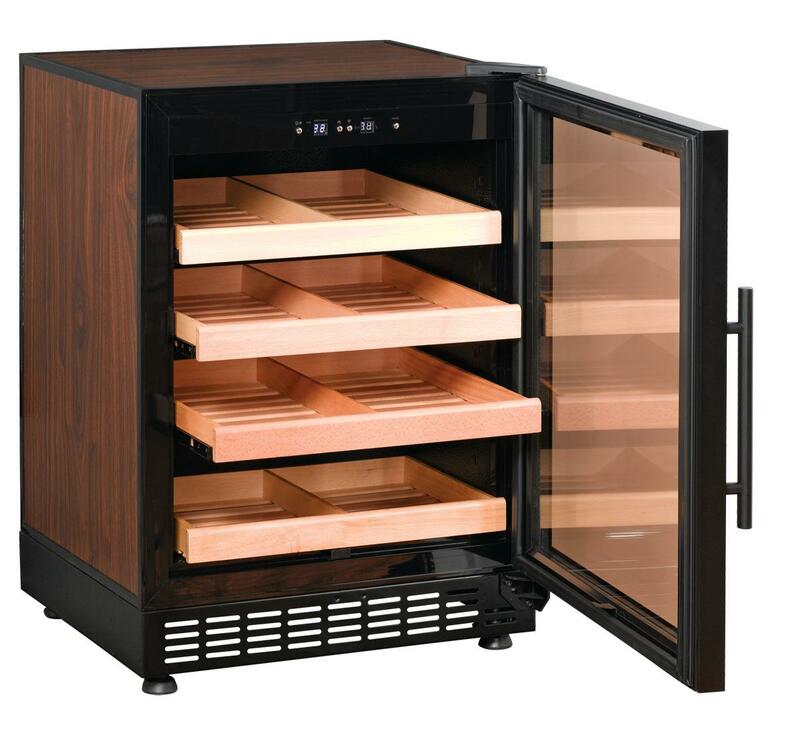 Our cigar humidor is the optimal storage option for your cigars and can hold up to 600 cigars at a time. In principle cigars can be kept in a humidor for an unlimited period of time as long as there is a constant relative humidity of between 68~75%. However it is not just the humidity that is important as the temperature plays a role too. If the temperature falls below around 15°C or above around 25°C then the cigars may be spoiled. This is why a constant temperature is equally important. The best conditions, of course this depends on the user, are a temperature of approximately 20°C with a humidity level of around 70% which means the cigar remains flexible and, to a certain degree, elastic to the touch. If the cigars are too dry they will not only crack and break but also burn faster. There is also the chance that they may have a slightly bitter taste. If the cigars are too humid, they will feel limp and not spring back if pinched. They will not burn continuously. This model features a digital temperature and humidity meter so that you can monitor both of these important aspects. The perfect humidor! There is also a memory function; if there is a power failure (of the power supply), which is then restored, the humidor maintains the last temperatures that were set! Tip 1: also makes a fantastic joint gift. Availability: Product is very low stock.